Some folks from Puyallup may know that the site of Washington Cold Storage used to be a cannery. Founded as the Puyallup & Sumner Fruit Growers’ Canning Company, the main site on 15th Street in Puyallup was one of the greatest canneries in the Northwest around the time of the First World War. 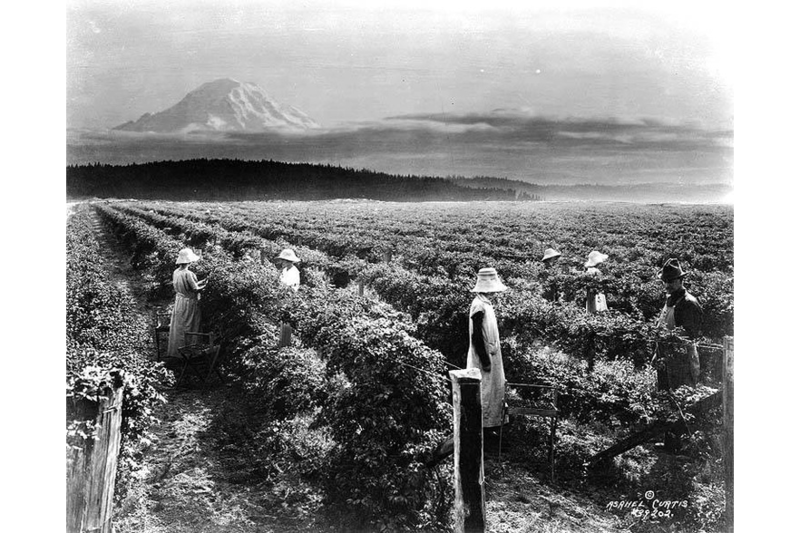 After attracting the attention of Washington and Oregon businessmen who wanted to promote the Pacific Northwest as a leading berry-producing region, the company was used as a model for the creation of a network of integrated canneries that could better meet supply and demand. Before the 1920s, canning in Washington and Oregon was made up of individual canneries, often operating out of rented buildings, that sold mostly to local markets without taking time to estimate the demand for their products. It was an era when the region had only been settled for a few generations and was competing with a much more developed industry in California. A certain percentage of Washington’s berries were even marketed as Californian, much to the chagrin of native Northwesterners, who understood that the climate of the western parts of Washington and Oregon was particularly suited to berries, rendering them superior in quality to California’s crops. After World War I, businessmen from Seattle, Tacoma and Oregon decided to combine the canneries under a single unifying authority structure, in order to better increase efficiency and to open up new markets further away. It was estimated in 1921 that New York City alone consumed more jams, jellies and preserves than Washington and Oregon could provide—an enticing thought to businessmen who wanted to consolidate and expand the industry in the Pacific Northwest. Eventually they accomplished their goal and made a successful industry out of bush berries, creating jobs and increasing the renown of their region. The Puyallup & Sumner Fruit Growers’ Canning Company building changed hands over the years but continued to operate as a cannery until the 1980s, when it became the location for Sea-Kent Cold Storage and eventually Washington Cold Storage. Much of the original canning building remains as a testament to one of Washington’s earliest and most successful industries, highlighting a time of innovation and cooperation that has left a regional legacy to the present day. Some of the above information may be attributed to — and further information found in — the following article: Stahl, Gustav R. “Oregon and Washington Canners Combine.” Canning Age, vol. 2, no. 3, 1921, pp. 29-31.